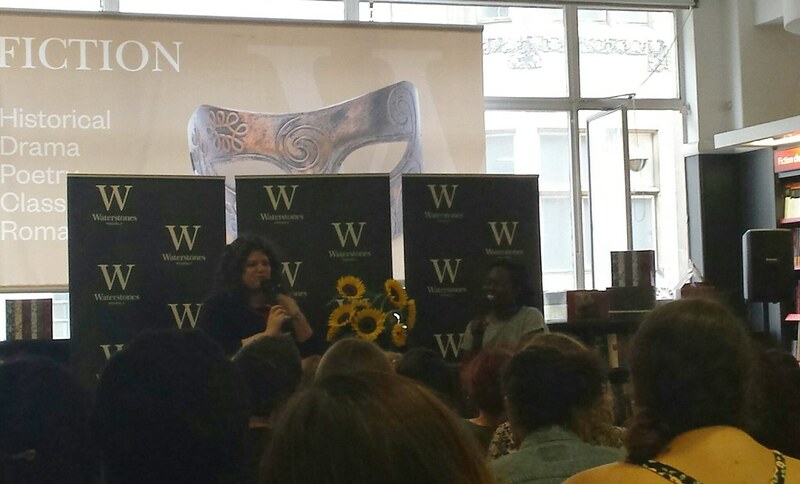 A few weeks ago we headed off the Waterstone's Piccadilly for 'An Evening With Rainbow Rowell' which was hosted by the lovely (& hilarious!) Bim Adewunmi who led the evening's questions to Rowell. In the UK to celebrate not only the release of latest novel Landline but also the success of her three previous novels, Rowell talked all topics from growing up to identity to fanfiction and magic phones! Her first foray into writing was Attachments, which was a novel that was five years in the making. The setting, a newspaper office just starting to embrace the Internet and email at the turn of the Millennium, originated straight from Rowell’s own career as a journalist in Omaha and like the story, they too hired an IT security guy to filter and check employees emails. A relative newcomer to the writing world, she admitted to feeling daunted by the task of writing a traditional novel, before deciding instead to pen the emails between Beth and Jennifer first before writing Lincoln’s story around them. She was keen to explore the idea of giving Lincoln attributes so often seen in young female characters in literature, showcasing his anxieties and struggles with identity throughout the novel. She ended up enjoying writing the male voice so much that it became the reason why Eleanor & Park was written from a dual perspective. Compared to the five year writing process of Attachments, Eleanor & Park, Rainbow Rowell's second novel, came into her head relatively unplanned. The world Eleanor lives in within the novel was one very similar to what Rowell experienced early on in her teenage years, with elements of the pain and insecurities Eleanor faces very much feelings she once held about her own life. Her sentiments towards Eleanor as a character were echoed as she answered the question 'If you could give advice to one of your characters, what would you say? ', admitting she would simply let Eleanor know 'It gets better'. With the exciting news that Dreamworks had acquired the rights to make Eleanor & Park into a movie, it was only natural for Rowell, as an author, to feel protective over her two characters and their story. So much so that her final challenge to the studio over the negotiation table for the rights was that she would be allowed to write the entire screenplay for the film...to which they agreed! Rowell was also sure to voice her concerns to Dreamworks, to ensure the adaptation is as faithful as possible, not just in terms of the story but the casting of her two leads, with Eleanor as a larger, red headed girl and Park as an ethnic Korean boy. Despite her initial doubts, she's also spoke of her excitement to challenge Hollywood stereotypes on the 'boy meets girl' story and is keen to see Eleanor and Park's relationship played out not just as 'chubby girl falls in love with a skinny Asian boy' - a description she admittedly sees far too often in magazines as the summary of her novel - but as a story of two people, one living with hope and one without any hope, falling in love and taking a chance on each other. 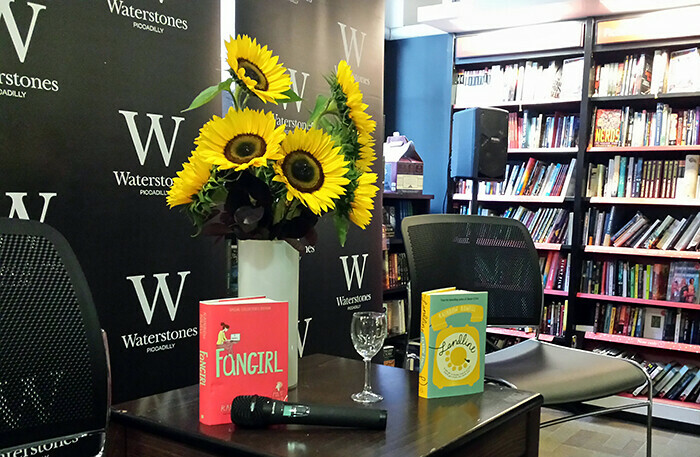 Perhaps her most popular novel Rowell spent a fair amount of time talking about Fangirl, her second YA novel. The idea came about from Rowell’s own love of fanfiction which she was not afraid to admit! Although at first her agent wasn’t keen on the idea - the conversation evidently went something like this; RR: 'It's about a girl who write fanfiction', Agent: 'Oh no...', RR: 'And she writes slash fiction!' - she was determined to create a main character who also loved that world. Taking inspiration from the world of Harry Potter, Rowell created Simon Snow, the series that Fangirl’s protagonist Cath is obsessed with since her own love on fanfic was partly born out of the release of the final Harry Potter book and films. Although J. K. Rowling’s famous creation may have been part of the inspiration behind Rowell’s third novel she also admitted to writing X-Men fanfic as a child, casting herself as the main character before anyone even knew what ‘fanfic’ was! She also talked about how she didn't feel the pressure to create perfect fanfic for Fangirl but instead wanted to capture the way a US kid would try to write a story set in the UK. One of the audience questions on the night was ‘Why twins?’ and although not a twin herself Rowell discussed how she has always been fascinated in twins and how they differ so much from each other, touching upon the subject of identity which fascinates her. Growing up she was always compared closely to her own mother who looks-wise she is almost an exact copy of, she talked about how this led to people expecting certain things of her, presuming that her personality would be an exact copy too. Her experience of this led to her feeling it can be hard to find your own identity when you’re compared to someone else so often leading to identity being a topic explored in all of her novels to date. When talking about Cath’s personality specifically Rowell stated that she too suffered with social anxiety, and liked the idea of Cath moving away into a fictional world to find comfort. She also said that compared to how parts of her life were reflected in Eleanor (of Eleanor & Park) Cath and the world of Fangirl represent a more joyful time in her own life. Plus, those amazing emergency dance parties Cath has? Those were a real thing when Rowell herself was at college! One of the big things to come out of Fangirl was Rowell’s new found love of writing Fantasy as she thoroughly enjoyed creating the Simon Snow chapters and writing the dynamic between those characters. This has gone on to influence her future plans as she is soon going to be working on both a YA Fantasy novel and a Fantasy graphic novel. Not wanting to give away any spoilers Rowell didn’t speak too much about her latest release a short adult novel titled Landline which features a magic phone that allows main character Georgie to speak to the younger version of her now husband. She did however explain that the novel was partly inspired by the telephone conversation chapters written for Eleanor & Park which Rowell admitted she really enjoyed writing, despite thinking that her editor would ask her to cut them down! How about the mystery of how this clever phone works? Rowell advised ‘It’s a magic phone, just get over it and accept it!’, feeling that it was silly to try and come up with a plausible explanation instead believing once you get past the fact it isn’t explained you will be able to just enjoy the story. 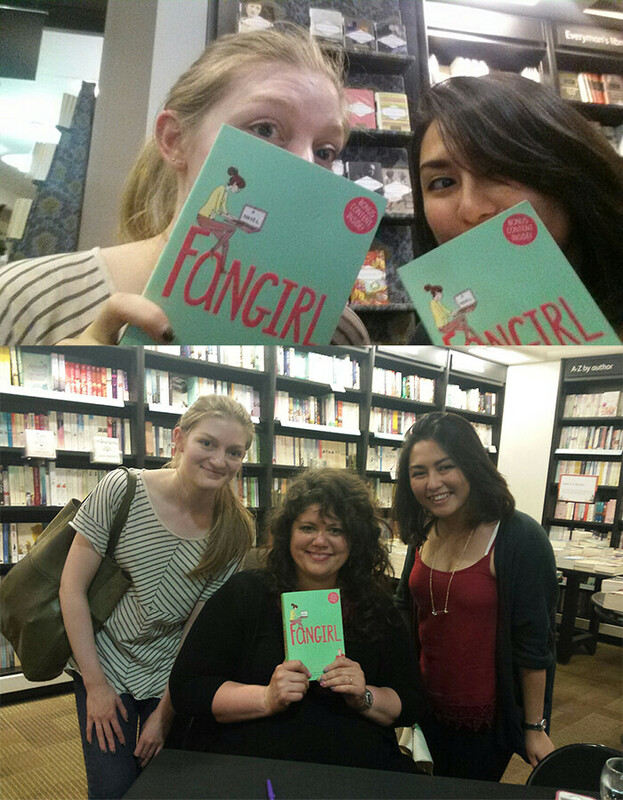 Thank you to Rainbow Rowell, Bim & Waterstones Piccadilly for hosting such a great event! You guuuyyyss! This sounds like it was so much fun! What a great write up of the event! Love it! I'm really excited to start reading Eleanor and Park (hopefully I will finish the current book tonight, so tomorrow might be the start day! Yay! ), which I just got from Book Depo last week. Guest Post | Top 5 Books On My 'To Re-Read' List!